In its typically charming way, Amsterdam has loads of hotels in wild and wonderful spaces: inspired architects have breathed new life into old buildings, from converted schools and industrial lofts to entire rows of canal houses joined at the hip. Many lodgings overlook gorgeous waterways or courtyards. But charm doesn’t come cheap, and space is at a premium: any hotel with more than 20 rooms is considered large, and most rooms themselves are on the snug side. 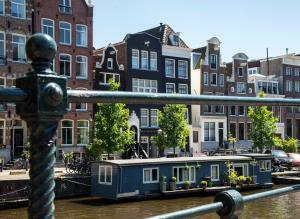 As with all Amsterdam accommodation, rates and crowds peak in summer, and on weekends at any time of the year. Book well in advance if you’re travelling then, or around Christmas/New Year and Easter. These are some of Amsterdam's best boutique hotels, offering comfort, style and a fair dose of luxury.